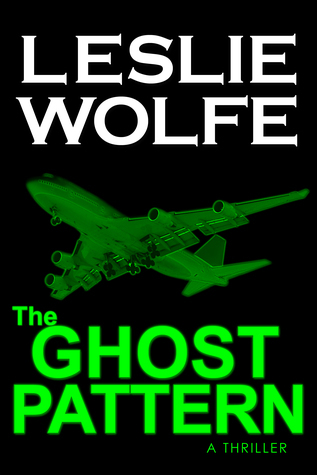 Book number four, The Ghost Pattern, is the best of the Alex Hoffman series to date. 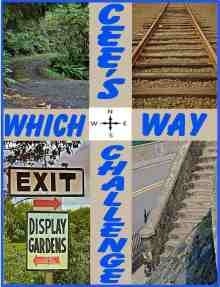 Alex is still battling her Russian nemesis and the ‘war’ will rage on, no doubt, in book number five. The Ghost Pattern sees an American airliner hi-jacked of with over four hundred and forty passengers and crew on board, many of whom are doctors returning from a conference in Japan. And no prizes for guessing who the hijackers are. Again The Ghost Pattern contained detailed descriptions of the Russian nemesis’ health and eating habits. However, these passages did decrease as the story unfolded and made reading much easier and enjoyable. There was also an incident early in the story which was mentioned only once thereafter, and that was by the villain when recalling his failures. I was sure one of The Agency team would pick up on this and link it to their predicament. The Ghost Pattern was the first Alex Hoffman book which kept me awake into the wee hours of the morning, reading ‘one more chapter’. I think The Ghost Pattern could be made into and excellent movie for television or the big screen. Some of the good guys were wealthy beyond belief and it was this wealth which funded everything at the drop of a hat. Sounds a bit farfetched, however, isn’t that what makes a good story. The Watson Girl sees Tess has returning to work early, from leave, and immediately asked to interview a death row inmate, due for execution, for killing 34 families. Does she become seduced by the killer’s demeanour and believe his claim? During the interview she is told a few truths which make her question some findings of cold cases. The Watson Girl was a slow starter and seemed to just get going when the villain of the story was given time to introduce himself. The first villain chapter seemed to almost bring the flow of the story to a halt. Through regular interludes with the villain readers are given a real insight into his depraved mind. As the villain chapters progressed so too did my enjoyment of The Watson Girl. As with all good thrillers the villain was not revealed until well into the book. While busy wondering how the villain would be caught, slip up there was another unseen twist brewing in left field. The Watson girl sees a subdued Tess Winnett back on the job. She tries extremely hard to keep her tongue in check, but still has her moments. 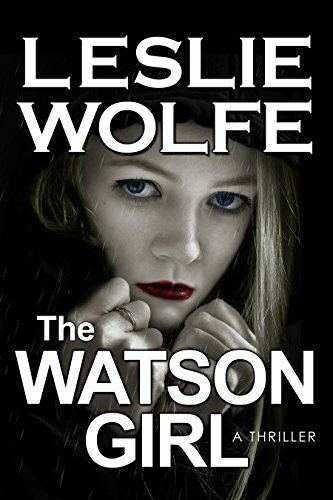 I enjoyed The Watson Girl and rate it as a solid four star read. Of the 3,660 Goodreads readers who rated The Watson Girl over 3,000 of those ratings have been 4 or 5 stars. There has also been 42 one star ratings. 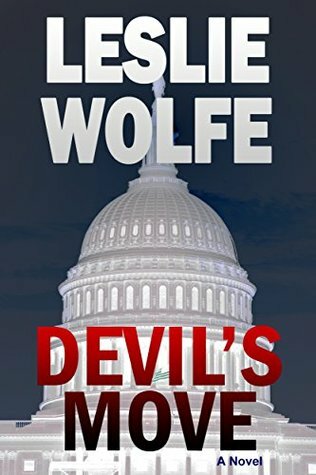 Devil’s Move is one of Leslie Wolfe’s earlier books (published 2014) and the second of the Alex Hoffman series. Set prior to an upcoming presidential election in the USA, Devil’s Move had great potential. Factions within Russia are trying to organise the election outcome via controlling a new e-voting system. Russian involvement in a presidential election! Sound familiar? However, the first third to half of Devil’s Move was, for me, a laborious read. Laborious because it contained a lot of conversational passages, which annoy me no end. The other burr under my saddle was the detailed locations and time zones between chapters. Considering I was reading a mini iPad, with enlarged writing, this is information was popping up very regularly. However! Enough negatives. With two off-shore contractors involved in creating hardware and software for the e-voting devices, it was up to Alex Hoffman, and her colleagues, to save the day. Alex has to negotiate her way around obstacle after obstacle. Because she is Alex, female, she is often threatened with severe violence in her offshore environment and her authority is totally ignored. I thoroughly enjoyed this offering from Leslie Wolfe and will continue reading the Alex Hoffman series as I find that even with a steady start each book develops into a great story. I rated Devil’s Move a solid four star read. Imagine if the beginning had been more to my taste! 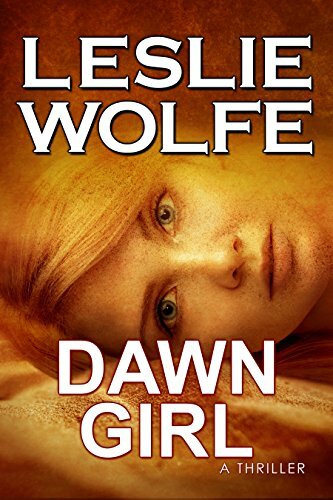 Dawn Girl was a random, spur of the moment Amazon purchase but hopefully won’t be my last of Leslie Wolfe’s book. Although to be honest, I didn’t like Dawn Girl…I loved it! 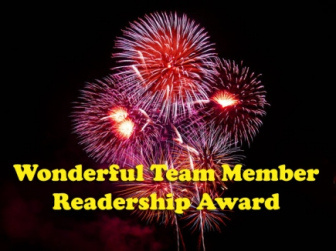 In fact I have read it twice simply because I had forgotten to write a review and had story lines blurred. However, Dawn Girl was as good second time around as it was first time. Dawn Girl is the media name given to a girl murdered and posed on the beach only a few yards away from where two teens were watching a sunrise. FBI agent Tess Winnett is assigned the case. Plagued by her own demons, Tess comes with a short fuse and an acerbic tongue, which, combined with her solitary nature and distrust of people, often lands her in trouble with local law enforcement as well as her FBI superiors. She soon recognises that the murder is the work of a serial killer. However, one body does not make a serial killer unless….there are other bodies. At this point Tess commences a long lengthy task of proving her theory to her superiors. In pursuit of the truth and a serial killer Tess often disobeys orders from her superiors. Because she is right!! I thoroughly enjoyed this fresh look (for me) at the crime/thriller genre. I have also read the other three Tess Winnett books and Leslie Wolfe’s story telling has held my attention all the way.